My research focuses on convective clouds, in particular the myriad of smaller cumulus clouds that are ubiquitous over tropical oceans. These clouds are often called “trade-wind cumuli”, after the steady easterly winds that prevail in these “trade-wind” regions. Shallow cumuli are not as deep as the cumulonimbus clouds that produce heavy tropical rainfall, but they have a number of interesting similarities to deeper cumuli and are thought to play an important role in climate. Similar to deeper cumulus clouds, shallow cumuli organize themselves into a variety of shapes and can grow as deep as 4 km. When they do so, they coincide with gusty winds, and they produce rainfall at a rate that is significant for water and energy budgets over tropical oceans. Shallow cumuli are also crucial to the vertical distribution of heat, moisture and momentum in the lowest kilometers of the atmosphere: the atmospheric boundary layer. The atmospheric boundary layer in turn is important for atmospheric circulations, such as the Hadley and Walker circulations, but also (tropical) cyclones, and, on smaller scales, the mesoscale circulations that are thought to accompany the aggregation of deep convection. 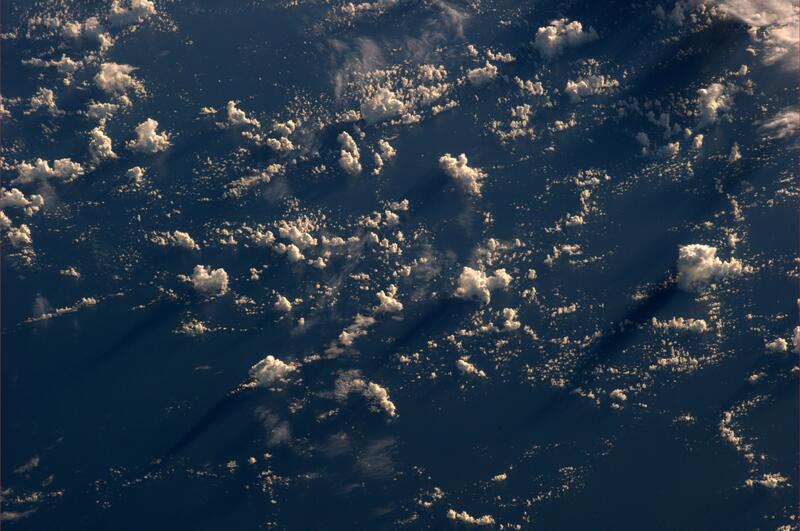 Because trade-wind cumuli are so numerous, they make the dark ocean surface a little brighter. As such, they have a net cooling effect on climate. Biases in low level cloudiness in subtropical regions in models can therefore lead to biases in the energy budget of the Earth system – the uncertainty in future climate predictions by climate models is the most pressing example of how deficiencies in the representation of these small clouds in global models can have far-reaching effects. In my research I strive to understand the processes that shape the characteristics of these clouds on global scales and the role they play in weather and climate, and I hope to contribute to an improvement of their representation in global models. With my group I use a variety of observations and models to do so. For studying the vertical structure of cloud for instance we use used ground-based lidars and radars installed at intensive measurement sites, such as the Barbados Cloud Observatory or the Cabauw measurement site. We also use data from space-borne missions, such as the lidar aboard CALIPSO or the radar on CloudSAT, to look at cloudiness and rain on global scales. To get a better insight into processes associated with clouds, we run a model called Large Eddy Simulation, which explicitly simulates the larger turbulent eddies that are characteristic for convective and cloudy boundary layers. To gain understanding of clouds and their role in circulations, I also make use of much simpler conceptual models, such as a radiative-equilibrium column model or bulk models of shallow convection. Finally, to look at global model output and to evaluate the performance of representations of shallow cloud. we collaborate with scientists at climate modeling and weather centers .